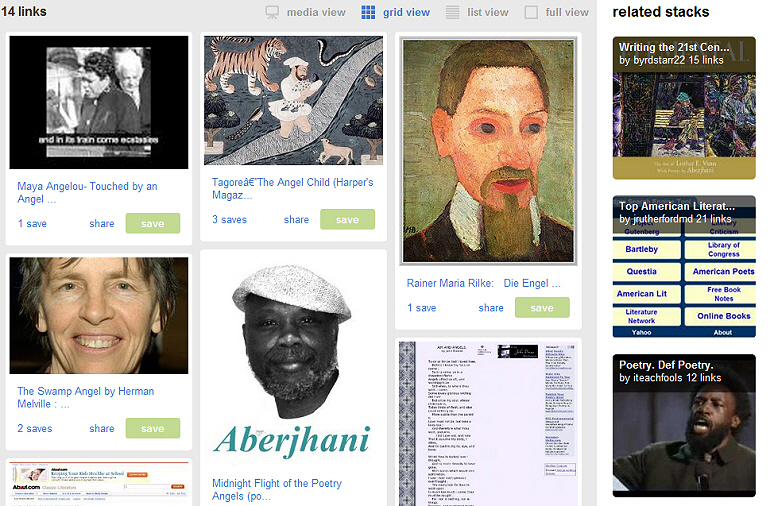 Grid view for 14 Poets and Their Angels stack on Delicious.com. Anybody who’s been keeping up with the meta-metamorphosis taking place at Delicious.com knows they’ve got a new thing going on called stacks… as in stacks of links with headers, descriptions, and images that sometimes blaze fantastic on their front page. The image we posted here is a grid view of the subject of this blog.